The T&S Brass B-0123-B08 is a deck-mounted pre-rinse faucet. It is a mixing faucet so it blends hot and cold water passing through its tube. The fusion of water can be controlled by two lever handles with color-coded indexes that make it easy to determine hot and cold water. It is corrosion-resistant because it has a polished chrome-plated brass body, making it last longer. 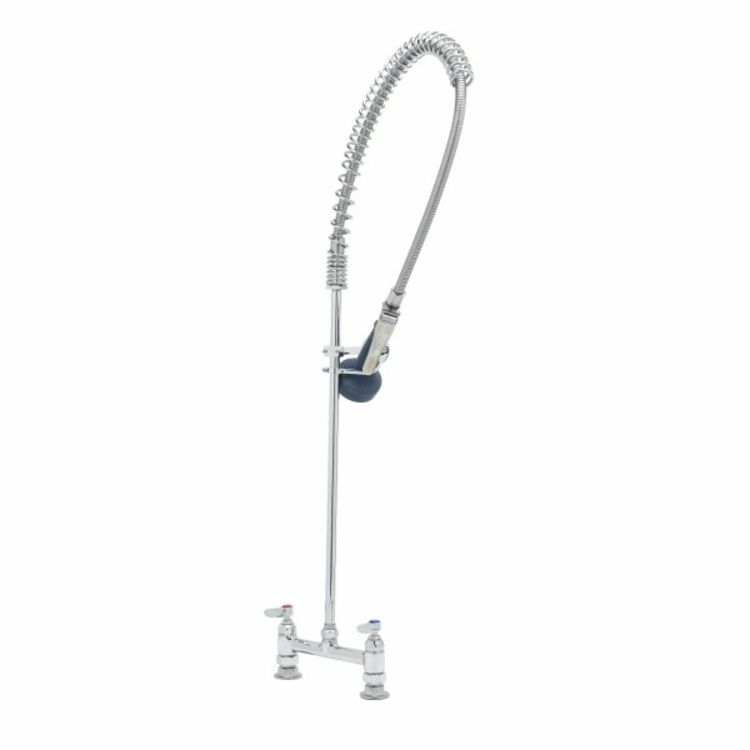 This T&S Brass B-0123-B08 Pre-Rinse Faucet features a 44-inch flexible stainless steel hose with an insulated grip handle. It also has a stainless steel trigger and a trigger lock. It comes with a 1.48-GPM spray valve. This faucet has 1/2-inch NPT female eccentric inlets with 2-inch diameter flanges. It has adjustable centers from 7 3/4 inches to 8 1/4 inches. It includes a 6-inch adjustable wall bracket. The Eterna compression cartridges with spring checks prevent the cross flow of the water. It is easy to install and much easier to use. 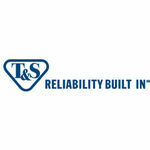 The T&S Brass B-0123-B08 Pre-Rinse Faucet has a limited three-year warranty. It is certified by NSF and ASME for meeting the standards. For more details, you can refer to the specification sheet. T&S Brass provides high quality solutions for the food service, plumbing and institutional markets with exceptional customer service.